He thought he was getting a bundle of digital joy, but what one Wyoming man actually received as an early birthday present is nothing short of heartwarming. The camera was rolling as Chad Reay sat with his eyes closed as his wife, Catie Reay, pulled his gift from their desk. "This is a gift that has been hiding in plain sight for a while, but I got you something that I wanted us to be able to share together," she says, as she places a nondescript white box in her husband's lap. As Chad pulls the crisp, plastic white sleeve of an Apple Watch box from the package, he reacts in surprise and elation. "Is this an Apple Watch, really?" 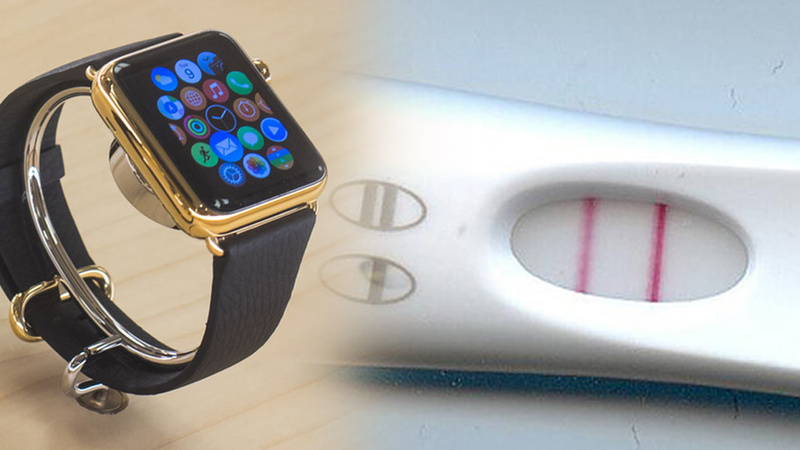 he asks, before gently pulling the watch box open to reveal his real gift: a positive pregnancy test, and a new beginning for the couple who was married earlier this year. He pauses for a moment. He pulls the box closer to his face for inspection. Then, he dissolves in a beautiful display of love and joy that has been seen nearly 12 million times since Catie posted the video to Facebook last week. "What? Are you serious? Are you serious?" Chad musters, before breaking into tears. "We're going to have a baby," she says softly, before embracing with her husband.